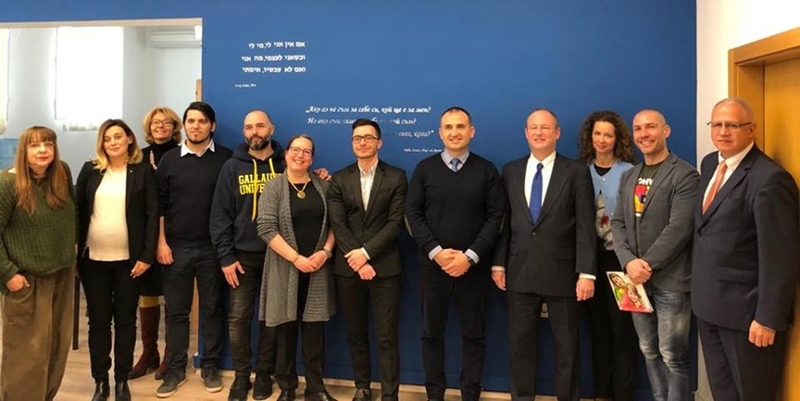 At a ceremony on February 15, the Organization of the Jews in Bulgaria “Shalom” signed a memorandum of understanding and co-operation with the GLAS (Gays and Lesbians Accepted in Society) Foundation. The two organisations declared their commitment to combine efforts against antisemitism, racism, xenophobia, homophobia and all other forms of discrimination in Bulgarian society based on religious, ethnic, national, social or other characteristics. The two organizations will share their experience and expertise to create a safe environment for groups, communities and individuals who are subject to intolerance. The aim is to build a partnership network of organizations that share common values ​​and vision for Bulgaria as part of the democratic family of United Europe, Shalom said. Shalom president Associate Professor Alexander Oscar said that the organisation had always found partners who share its values, which were universal human values. “We all know that in the years of the Holocaust, those who were killed in the death camps, apart from Jews, included people that the Nazi machine considered deficient,” he said. “It is precisely this that makes us even more responsible and obliged today to combine our efforts and to confront the rising wave of xenophobia and homophobia in Europe,” he said. Guests at the signing ceremony included the ambassador of Israel, Irit Lilian, US ambassador Eric Rubin, the head of the Bulgarian Foreign Ministry’s global affairs directorate, ambassador Plamen Bonchev, of the ministry’s human rights directorate Maria Spassova, Marginalia human rights website editor-in-chief Yuliana Metodieva, Ashod Derandonyan of Listen Up and Alexander Ivanov of MOGA, the youth organisation of hearing-impaired activists, Central Israelite Religious Council of Bulgaria head Sofia Cohen and members of Shalom’s leadership.